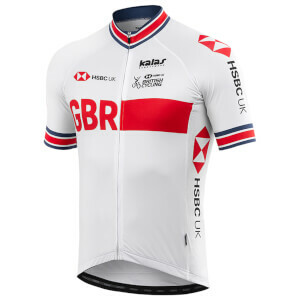 Official ProBikeKit 2018/19 replica classic team jersey made exclusively in collaboration with prestigious cycling innovators Santini. The PBK Santini Classic Team Jersey is made of energy fabric on the front and back, with bodyfit neck and sleeves, made with raw-cut. The inner double silicone elastic at the bottom of the jersey is perfect to keep the jersey in position, while the three rear pockets allow you to bring along with you everything you need. With long zip and mesh sidesband. purchased this because i liked the colour scheme and the look and they were very reasonably priced. I was really surprised at the fit and comfort. 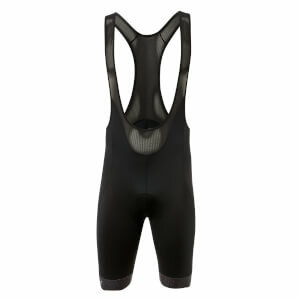 A great jersey particularly for summer riding. 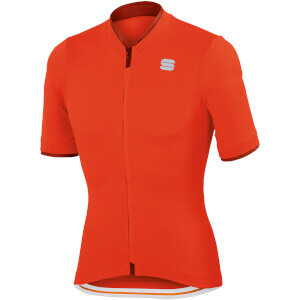 The material is great the cut is nice and overall its a really nice piece of kit. I liked mine so much that i brought a second one a few weeks later. I've yet to be disappointed with any of the Santini shirts I've purchased from PBK. Fit is perfect. I'm 6'4/210 lbs and the XL fit is spot on. Nice, comfortably tight fit and well made with quality materials.